Chapman University percussionists perform for MSJ band. 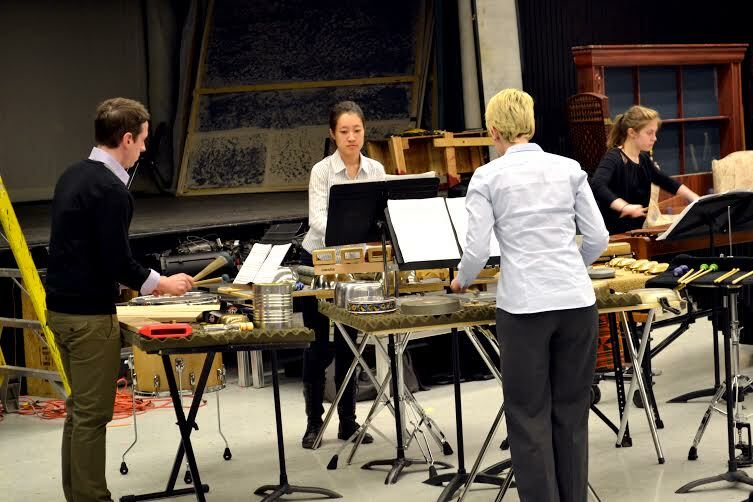 The performing percussion ensemble consisted of several individuals, each alternating instruments from time to time. A few songs featured musicians quickly switching from instrument to instrument, demonstrating their skills and stunning the audience. Other tunes included certain individuals specialized in a particular instrument. Throughout the entire performance, the audience was introduced to different forms of music, all performed with spirit and passion. The love for music and percussion was evident through the emotions shown by not only the performers, but also the tunes they played. Using different varying forces, the percussionists were able to portray emotions through their music. Strong beats and louder rhythms created a more intense atmosphere, while light, soft melodies lightened the mood. 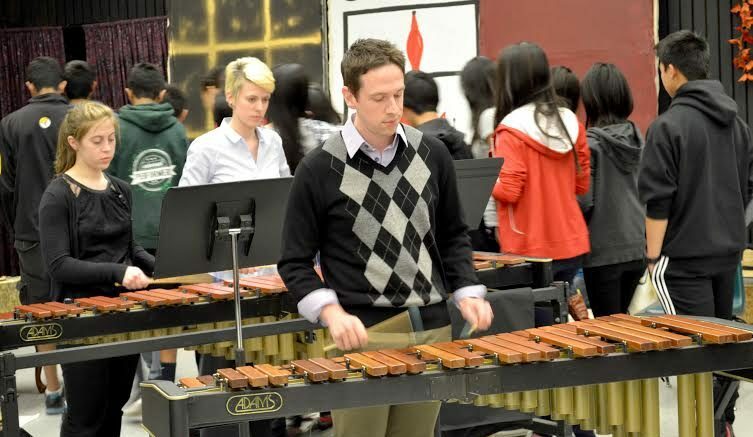 However, unlike many other percussion ensemble performances, the Chapman University musicians utilized a variety of special instruments to create a wide array of sounds, including the use of unique instruments and arrangements. In the first song, a melody was played on the marimba, while a multitude of common household items were played, including frying pans, cooking trays, and tin cans. The following piece was written for a tambourine triplet, a rare and unique arrangement which featured different tempos and rhythms played only on tambourines. Ragtime tunes concluded the performance, with a special appearance from a high school student from San Jose on a custom washboard instrument. In addition, the Chapman University percussionists performed pieces with instruments from different parts of the world. To emit a traditional African vibe, the third song was played on claves, wooden sticks used as Afro-Cuban instruments, in a minimalism style. Different sounds and tempos were present, and the varying beats of the claves provided a different musical perspective. Another featured song was played on small Chinese hand cymbals, also with varying rhythms and volumes. Furthermore, occasional vocals were used to add an even more engaging effect to the music. 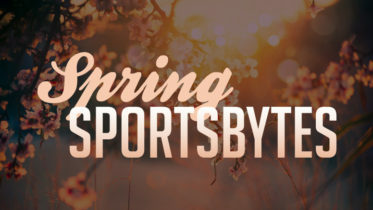 Be the first to comment on "Chapman University Percussionists Come to MSJ"